First, let’s take a look at SpyWare and AdWare and why you need to be protected against them. The first bit of confusion that we need to clear up is the following: Is Spyware the same as a Virus? Many people confuse the two but they are very different. A virus is usually a piece of software spread through your email with the intent of some sort of maleficence–some sort of disruption or destruction of your system. Often times, viruses are created by their owners simply to achieve a level of notoriety or, in these days of terrorism, to achieve a political end. Also, unlike Spyware, all viruses are essentially considered illegal and thus are created in secret locations. Where the goal of a virus is destruction, the goal of Spyware is financial. Thus, many legitimate companies are involved the creation of Spyware and this practice is often not illegal. Spyware gets installed in a number of ways including through program installations and browser activity and is often designed to collect data, unbeknownst to you, about your activities and deliver this information to companies who will then provide advertisements and pop-ups on your system. Spyware will also often redirect you to websites which will try to sell you something. One of these Spyware products, called Internet Optimizer, exploits a vulnerability in Internet Explorer and re-directs web pages to a “solution” to your problem. In the end, Spyware always exploits you and your information and can often slow your system down to an absolute crawl. You will also see the term Malware cast about in this conversation. Malware, short for malicious software, is an all-encompassing term used to describe any type of unwanted intrusion into your system, including both computer viruses and Spyware. Though viruses and spyware are both Malware per se, the solutions to rid your computer of each of them are often different. Viruses have been around for a long time and everybody knows that they need an anti-virus product on their computer. Historically however, anti-virus programs have not provided protection against Spyware though this has changed in recent years. Thus, since anti-virus programs provided little protection, a new industry was developed to combat Spyware. Here, we present to you the best rated Spyware programs to protect you, your identity, and your community. And the good news is that many of the best spyware and adware blockers are free! 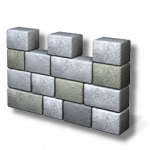 The five programs listed below are the best Spyware and AdWare blockers. Refer to the conclusion section below for our exact recommendations. The systems that are most vulnerable to Spyware are those that have the Microsoft Windows Operating Systems installed. Perhaps it is no coincidence then that one of the best Spyware programs is also made by them. When we discuss these Spyware protection programs, you will often hear the term “real-time” protection. This means that you will be protected on the fly, preventing Spyware from actually entering your system. Microsoft Windows Defender excels in this arena. However, if Spyware does enter your system, this product is not the best at removing it. For this type of protection, you will want to choose one of the other solutions. How to get Windows Defender? Well, if you have Windows Vista on your system, you are in luck. Windows Defender is included with Windows Vista. For other Microsoft systems, as long as they are properly licensed, you can download Windows Defender and install it on your system. Spybot Search and Destroy has been around for a long time. As such, the creators of this product know the Spyware game and keep their product updated. 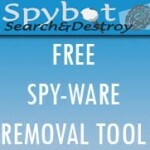 Spybot Search and Destroy has been a consistent software award winner for its ability to defeat and contain Spyware. Unlike with anti-virus products, it is not a bad idea to install several Spyware destroyers. At the price of nothing, you cannot go wrong downloading Spybot Search and Destroy to rid yourself of nasty Spyware products. Another product that has been in the game for a long time is this one called Ad-Aware. 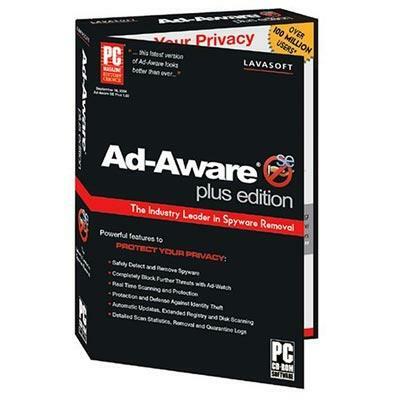 Created by Lavasoft, this product does a great job at cleaning up the Spyware once it has invaded your system. However, Ad Aware is best combined with other products in your Spyware defense that excel at real-time protection, such as Microsoft’s Windows Defender listed above. This free product has to be initiated manually. That is, each time that you want to scan your system, you have to start the scan. Their paid for counterpart allows you to schedule this activity. Unlike the other programs on the list–which are free-Spy Sweeper excels both in preventing spyware in real-time and removing it if by some chance it invades your system (or you already had it). Also, since this is a paid for product, it comes with free online technical support and phone support. If you don’t mind paying a little bit of money, Spy Sweeper earns our nod as the best rated spyware product! 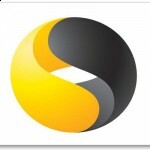 Why have we selected two products as our number one best spyware programs? Well, they both do their job and they do it very well. Plus, with both of these, you receive complete virus protection. First, lets look at Macafee Virus Scan and Anti Spyware. 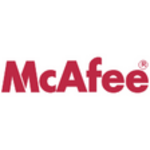 Macafee excels at preventing Spyware infection on your system and does a tremendous job of shutting down processes that Spyware attempts to launch. It also provides a complete virus solution which is constantly regarded as one of the best. At $39.99, it provides piece of mind for a small amount of money. Norton Internet Security 2009 also does a great job of protecting your system from both Spyware and viruses. Norton has been the leader in anti-virus protect for the last 10 years and continues to improve its bundled Anti-Spyware as well. In fact, the performance of its anti-spyware product garners much praise. At a price of about $45, this product provides top-notch protection against both viruses and spyware. 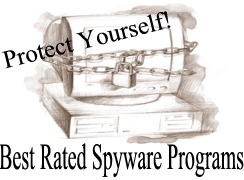 As you already know, you do not want Spyware on your system. If you get it, your confidential data and system are in trouble. So, what do we recommend for you? We recommend that you choose either one of the #1 Anti-Virus/Anti-Spyware solutions recommended above. This would be either McAfee or Norton. Then, download and install one of the other solutions listed above for free (or Spysweeper for a little extra) as a second level of defense. Then, once a week, boot your computer into safe mode (by pressing the F8 key before Windows start) and run one of the free best spyware programs listed above. It is important to do this in safe mode because Spyware can often not be eliminated when your computer is operating normally.